Boca Raton Football Club took on Miami Nacional in the quarterfinals of the APSL playoffs and defeated the club from Miami 3-1 after a hard-fought match at 5pm at Tropical Park on Sunday afternoon. Boca Raton opened the scoring when Stefano Bontempo streaked down the right side and crossed it to a wide-open Giovanni DiMauro who bagged his fourth goal in two games to give the defending APSL Champions the 1-0. Miami Nacional stormed back and was able to get one past Mike Pizzuti and ended the half all tied at 1-1. In the second half, both teams’ fatigue looked to have set in as they began to grind out in the remaining 45 minutes. Some key substitutions were made by Yunes to help jumpstart the Boca Raton offense and it paid off. Amoroso’s key pass to the feet of Xavier Silva was spot on as Silva as able to maneuver past the defense and give Boca Raton the 2-1 lead. Minutes later, Boca Raton’s Colby Burdette was able to give the team the 3-1 lead of a hard-fought game to advance to the semifinals of the APSL Playoffs. Boca Raton will now face South Florida FC, the only team Boca Raton has lost to in the 2016 APSL Season. Boca will look for a strong effort versus a strong South Florida side that had the bye week as the number two seed. 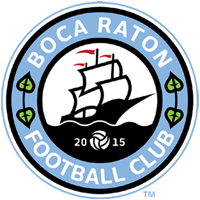 Boca Raton will take on South Florida FC on Sunday, July 24 at 5pm at Tropical Park in Miami. Boca Raton will livestream the game at www.sportsmesh.tv.